Cheesecake is one of my favorite desserts. 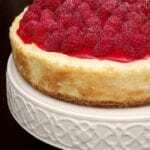 This amazing raspberry cheesecake recipe will make your guests ask for you to make it again and again. I use the same basic cheesecake recipe here that I used for my salted caramel cheesecake recipe. You can also check back to that post to find certain tips and tricks for making cheesecakes. 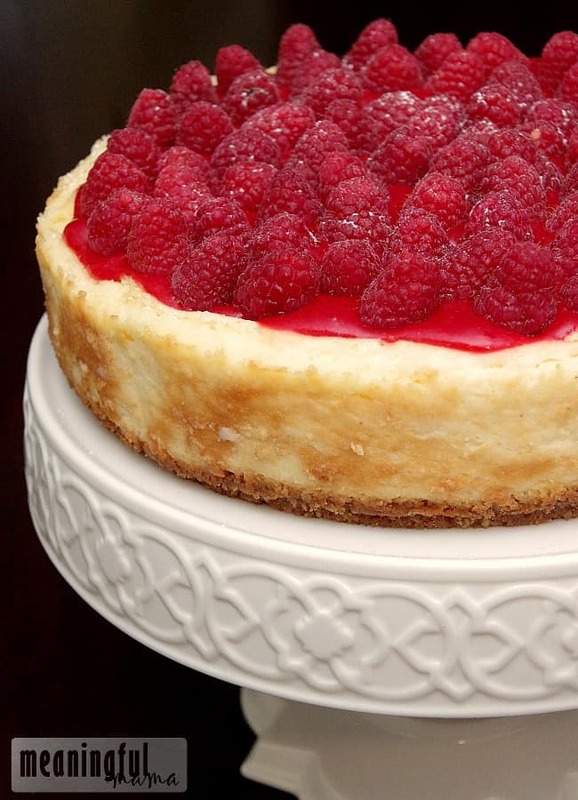 Another great cheesecake recipe on my site is similar to this one, but it’s my mini raspberry cheesecakes with a Nilla wafter crust. I love the bite size nature of that recipe. I think you are going to love adding this recipe to your repertoire. It is a beautiful, impressive and popular dessert to take to dinner parties, luncheons and dessert parities or showers! Have fun with it! Mix crumbs and melted butter and press into the bottom of a well buttered springform pan. Cream the cream cheese with lemon juice until very smooth and light. Add sugar and beat again until smooth. Add eggs one at a time, beating well after each addition. Pour into prepared pan and bake at 300 degrees for one hour. Cook in a water bath (see notes below). Mix all ingredients and spread carefully on baked cake. Return to oven for five minutes. Cool and chill well. Combine all ingredients in a blender or food processor until smooth. Chill until ready to put on cheesecake. 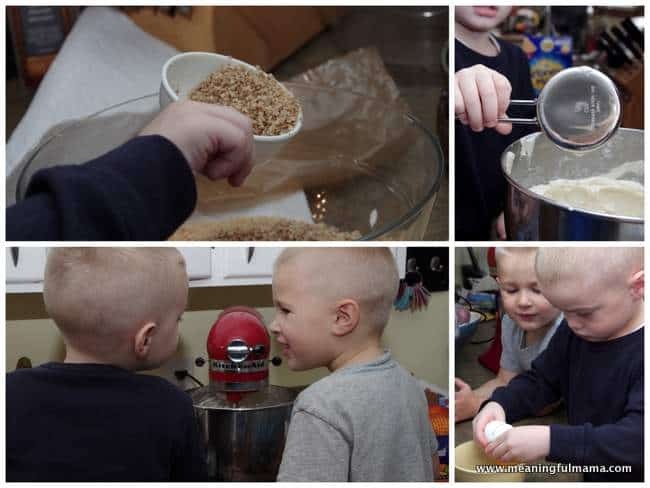 I’m adding a picture of the kiddos helping make the cheesecake because I’m always wanting to encourage parents to get their kids helping in the kitchen. They learn so much and really have a great time bonding with you around food. I watch Corban’s cousin once a week, and it was great to have another little sioux chef. Cream the cream cheese with lemon juice until very smooth and light. Add sugar and beat again until smooth. Pour into prepared pan and bake at 300 degrees for one hour. Cook in a water bath.